Let me state right up front that I have nothing against CNBC, Bloomberg, or any other financial television shows or stations. They provide a great service to a segment of the TV viewing populous. But, for the average investor, there are really no good compelling reasons to watch CNBC or any other financial television shows. These shows live and breathe on the investing frenzy and fervor they create. They do not provide the simple needed advice and tips to the novice to intermediate investor and end up adding more to that demographics’ confusion in the process. 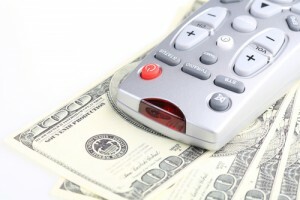 Financial television shows earn their money by getting investment buyers and sellers worked up into frenzy. Very rarely do these shows talk about mutual funds or buy and hold methods of wealth creation. Instead, most financial television shows focus on individual stocks, when to buy or sell these stocks, and what they feel the underlying value of those stocks are for whatever rationale. For most investors, individual stock investing should not comprise a majority of your investment portfolio. This can lead to not being diverse enough in your holdings, and hardly anyone with a real day job has the time to research the ins and outs of companies whose stocks we would like to buy. Plus, constantly watching the stock market movements up and down will drive you crazy. It is unhealthy. Over the past few months, I have stopped watching national and my local television news channels. Their coverage was too negative. It made me depressed. Since then, I have noticed a change in my disposition and my outlook. I have been happier at home and at work. The same can be said for financial television shows. Doom and gloom sell newspaper and they attract eyeballs to new programs on TV. Those eyeballs directly attract advertisers. So, like the old newspaper adage goes, “If it bleeds, it leads.” The same can be said for financial television shows who need to draw good ratings. Just watching five minutes of one of these financial television shows will make your head swim. Their target audiences are not novice investors. Many of these financial television shows spend an enormous amount of time talking about options, derivatives, and futures. These complicated topics can only facilitate the loss of more money for the average investor watching. So, do yourself a favor and just forget about watching the financial television shows. They will do nothing but lose you money in the long run. And, that does not even start to mention how they can be bad for your health. Skip them and the excitement and keep your blood pressure at a low level. Your wallet will thank you too. I remember when the market tanked 700 points or so and I was watching tv. That was a stressful day. It went up, then down, then back up again. CNBC didn’t help either, they were just fueling the fire. These guys know how to get people going…I’ve heard something about the “cnbc affect” and how powerful it is. That would be a good article to follow up on. Make no mistake, there is a whole lot to learn from some of these television shows. However, many of them are just talking for the sake of talking. One could convincingly make the argument (Malkiel et al) that all of that talk means absolutely nothing. Generally I like to think like that but I have seen ridiculous circumstances when what was said on a boring CNBC program actually moved the market. I quivered as what the reporter said brought the given security up on higher trading volume, then down again after another guest offered a rebuttal. If there is one thing to learn from these shows though, that could be used to your advantage – people actually act on a lot of these shows.